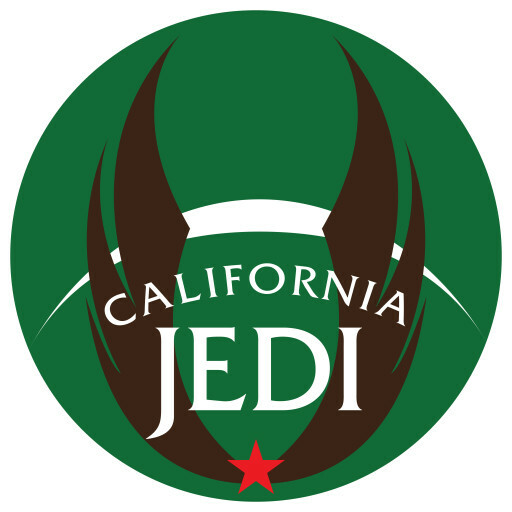 California Jedi was founded in July, 2012 by Kai-An Tatok to create an offline network of Jedi to train and grow together on the path in the state of California. California Jedi strives to nurture the growth of its members, give back to the Jedi Community by supporting Jedi of quality and building training resources, and serve our communities through our path. Although many (but not all) of us are Star Wars fans, being a Jedi isn’t about occasionally dressing up or having fun with light sabers. A Jedi is someone who through their own will and spirit strives to be a stronger, better, and more helpful person to the world. Utilizing the truth in fiction, we strive to follow a path inspired by the fictional Jedi in Star Wars in our real lives. California Jedi values honesty, authenticity, equality, accountability, positive cooperative support, and growth. California Jedi is committed to protecting the rights and dignity of all people. We are an intersectional and social-justice focused organization; diversity not only makes us stronger, it makes us the Jedi we are. California Jedi is explicitly against sexism, transphobia, racism, ableism, homophobia, classism, and all forms of societal oppression. Our meetings cover a variety of types of training, including martial arts, meditation, energy work, philosophy, healing, charity, and other topics a Jedi knight needs to understand, as well and building community and just enjoying each other’s company. We also don’t just sit around watching films and reading books; we go out and offer our services where they are needed. California is a large state, so we have organizers for both the North and the South, the North centered in the San Francisco Bay Area and the South centered in the wider Los Angeles Area. To learn about our training and events, contact the organizers using the contact form in the menu above. The California Jedi Logo was designed by John Kopp, and represents some of the values of California Jedi. The red star, taken from the California flag, represents our focus on local, offline training; we are committed to real-life training here in our home state. The green circle is a symbol of our connection to the world around us, both our planet and those who live here, and to each other. The dark brown wings, a recognizable symbol of the Jedi, represent the path and our love for the wisdom that has come before us, and that we continue to draw from the community and the fiction. The white horizon represents our commitment to progress and growth; we constantly seek to improve, change, and push at the boundaries of tradition and at our personal limitations to better ourselves, our community, and the world around us.